CHICAGO — Junior Krisynthia Sampson scored 21 points and grabbed 10 rebounds for her first double-double of the season to lead the UTRGV women’s basketball team past Chicago State 69-62 on Saturday at the Jones Convocation Center. Sampson scored 19 of her 21 points in the second half. Junior Quynne Huggins chipped in 14 points and seven rebounds, while redshirt freshman Amara Graham added 12 points for UTRGV (14-14, 4-9 WAC). Phylicia Johnson paced the Chicago State (1-27, 1-12 WAC) with 23 points and grabbed three rebounds. Destiny Harris scored 12 points while Ines Mata Boix posted a double-double with 10 points and 11 rebounds. UTRGV scored eight straight points to take an 8-2 lead in the first quarter before Chicago State answered with a 12-2 run to take the 14-10 advantage at the end of the period. Huggins got UTRGV within 16-15 after knocking down a pair of free throws with 7:51 left in the half. Chicago State extended its lead to 24-17 on a 3-pointer from Konner Harris, taking the 28-23 lead into the half. Sampson got going in the second half, knocking down a jumper to get UTRGV within 30-25 with 7:25 left in the third quarter. Sampson later converted a 3-point play that moved UTRGV within 36-35 with 2:50 left in the period. In the closing minutes of the third, Sampson tied the game at 39 with a putback layup. Then, junior Jameka Dowell closed the quarter with a layup, giving UTRGV the 41-39 lead heading to the fourth. UTRGV started the fourth with a 9-0 run, including a Sampson layup that made the score 50-41 with 7:36 left to play. Sampson later pushed UTRGV’s lead to 58-51 with another layup before adding a pair of free throws to give UTRGV its largest advantage at 68-59, putting the game out of reach. 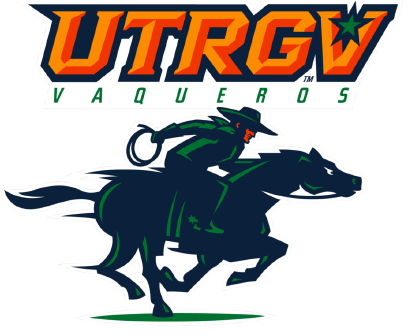 UTRGV closes out the regular season on March 3 when it travels to Las Cruces, New Mexico to face New Mexico State University.